Are you gluten free in Western New York? with interesting speakers, completely free gluten free dining events at area restaurants, and so much more! Join us at our next meeting or dining event! We have a very active Facebook page as well. Please join the group to be a part of the conversation! 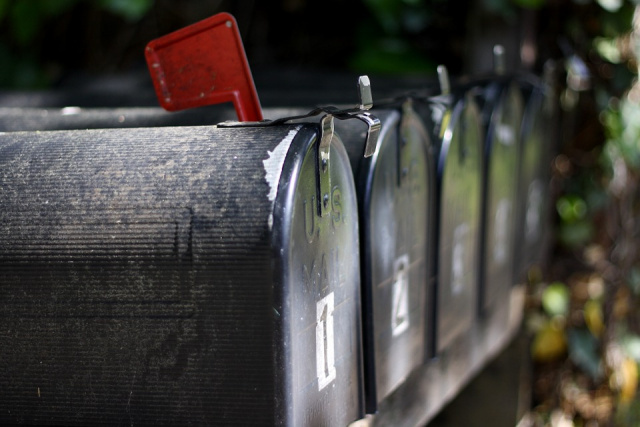 Are you a member who receives our newsletter in the mail, but would prefer to get it electronically? Not only will you save yourself some clutter, you'll save a tree and save the group money that can be spent on celiac awareness in our community! To switch to the electronic version (which you can also print out if you decide you'd like a hard copy), just send an email to buffaloglutenfree@gmail.com with "Newsletter" in the subject line. Once your membership in the group has been confirmed, you will be sent all newsletters to your email in a PDF format. The news will even get to you BEFORE we mail it out to the general membership! Membership Dues for Renewing Members are $15.00 per calendar year. New Membership Dues are $20.00 You can pay your dues at any of our support group meetings or pay by mail. Receive our newsletter, filled with information about upcoming events, recipes, and articles of interest to our group. Enjoy discounted admission to dining events throughout the year. Your dues help defray the costs involved in running the group, including: mailings, educational events, meetings, and this website. Thank you for helping WNY Gluten Free Diet Support Group reach so many in our community. Click on the link and find restaurants that cater to the GF diet. Just enter a zipcode and quickly find restaurants and reviews. You can seach for a particular type of food (ex. breakfast). Join the conversation as well to help keep the website up to date. Put the app on our phone to always be in the know about GF restaurant options. There have been a growing number of pizzerias in the Western New York area offering Gluten Free pizza options. This is both good and bad news for those of us trying to manage the GF diet and safely eat a Buffalo favorite. Some restaurants use a pizza that has been prepared in a GF facility and baked in a way to avoid cross-contamination. Others use a GF crust and add their own ingredients. Some restaurants have very good GF kitchen protocols in place while others do not. We have had members tell us of positive and negative dining experiences at the same establishments! With such a large number of restaurants now offering GF pizza, it would be difficult to include them all on our website. Instead, check out your local pizzeria that has GF pizza options and ask how the pizza is made: Are GF toppings kept separate - Do kitchen staff change gloves - Do they bake the pies in a separate oven/pan - Do they use designated GF utensils? Only you can determine if the pizza you eat is actually safe for you. Be your best advocate. Educate your local establishments. Many places would like to accommodate the GF diet but do not have a full understanding of it. Also, use the Facebook page to let others know what you've learned. Kith & Kin has a growing selection of the most delicious 100% gluten free baked goods and now has a beautiful new cafe, serving breakfast, lunch and DINNER at their new location. Don't miss their FISH FRY every Friday - battered or breaded it is an amazing treat. Check out their website at the link above. They also have a facebook page. Great to have a 100% GF bakery in the northtowns! 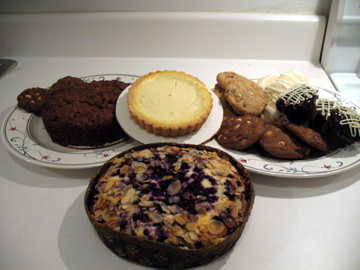 Vin-Chet was the 1st area bakery to work with our group to develop gluten free baked good. Their baked goods are made with the finest ingredients. They are always adding new products to their line and can products are now found in so many grocery stores in the Western NY area. Vin-Chet takes care with the ingredients in their baked goods and achieved Gluten Free Certification from the National Celiac Support Association. Congratulations to them and a huge thank-you for all their efforts on our behalf! We only use certified gluten free flours including whole grains and ancient grains along with whole eggs, pure cane sugar and aluminum-free baking powder to produce THE BEST tasting breads and buns WITHOUT using chemicals, preservatives or GMO ingredients like corn, soy or canola…. because we care about your health. Our group has a Facebook group page.This is a place to share and discuss everything about gluten free living in the Buffalo area. You can start discussion threads, ask questions, and share your gluten free ideas. Click here for the Facebook page. Visitors to the site will be able to quickly and easily access travel reviews organized by geographic region and read about others’ personal experiences traveling and dining out in any part of the world. The site is user-based and you are encouraged to submit a review sharing your experience from a hotel, resort, cruise, or favorite restaurant. Pass the word along to your friends & family. So...let's put Buffalo, New York on the map as a Celiac friendly community by posting reviews to our restaurants. Do you like to cook and bake? Our group has a number of copies of Pleasing the Gluten-Free Palate, a wonderful resource for Gluten-Free cooking, ready for you to purchase. Also, our library has a number of wonderful Gluten-Free cookbooks for you to borrow (when you become a member) and create to your heart's (and stomach's) content. Also, check out this website's list of GF recipes. Do you have a favorite recipe that you could share with us? Let the webmaster know!